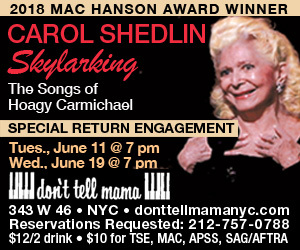 The Emcee in the musical Cabaret, first seen on Broadway in 1966, is an enigmatic figure. Existing entirely in the world of the Kit Kat Klub cabaret in Berlin, he barely qualifies as a “character” in the show at all. One might better call him a “presence.” In the 2001 book Open a New Window, musical-theatre historian Ethan Mordden wrote of Joel Grey’s original portrayal: “His white-painted face and dirty smile were a disturbing puzzle. Did he believe his own spiel? Was he part of the entertainment or of some enormous lie? Was he the lie itself?” The Emcee teases and charms his audience. He coaxes laughter. But then he can sucker punch his listeners with a nasty gag. He’s a jester who seems to have a mean streak. 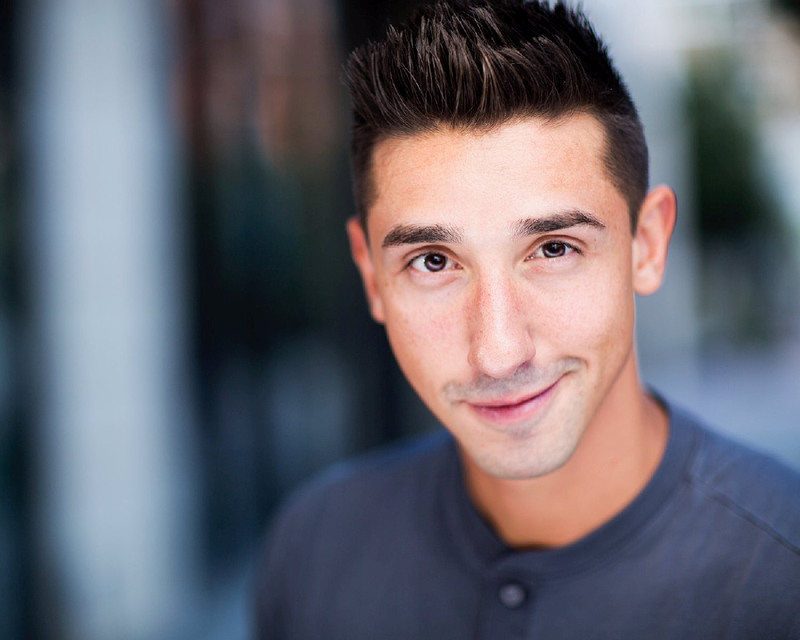 Actor Robbie Torres has previously portrayed the Emcee in a production of the often-staged musical. But now—in a show that he has conceived and written—he imagines and presents a backstory for him. Mein Letztes Kabaret (My Final Cabaret) contains a number of original songs woven into a solo drama. The setting is a prison cell in the Dachau concentration camp, at some time after the events seen in Cabaret. The Emcee lets us know that the show he is performing (for us? for himself?) will be his last ever, as he is to be relocated to Auschwitz, where he will take his “final bow.” Kabaret’s premise sometimes calls to mind another musical with a Kander and Ebb score: Kiss of the Spider Woman, which also deals with a prisoner’s show-business fantasies. Torres has a forceful stage presence, fortified by a strong and agile singing voice with some gorgeous notes in the upper register. He is also a graceful and playful dancer, and his comic timing is sharp. Reading short chapters from the Emcee’s autobiography, he pulls the audience into the tale being spun. The history Torres has imagined for the Emcee is certainly full of dramatic incident. The character begins life as a sensitive Jewish child, raised by a buxom, tenderhearted grandmother. (The boy’s mother is out of the picture—off getting a taste of the wilder things in life, things that her son will also drift toward.) Bullied because of his effeminacy, he grows up to become a reluctant soldier during World War I. He has a doomed gay affair with a French youth, and eventually lands on his feet as a cabaret performer in Berlin. It’s here that he meets Sally Bowles, the flamboyant character created by Christopher Isherwood in The Berlin Stories, the book from which Cabaret was derived. All of this invention is certainly plausible. But it has the effect of humanizing a character originally designed, perhaps, to be both more and less than human. In Torres’s take, the menacing and mercurial features of the persona have been blurred and softened. There’s nothing wrong with that, per se. You will likely still get the same creepy feeling whenever you next see the Emcee in a stage version of Cabaret (or when you revisit the 1972 film version that earned Grey an Oscar). And who’s to say that there hasn’t always been a more tender and vulnerable side to the character, one he kept hidden from Kit Kat Klubbers? Yet, we—and Torres—shouldn’t lose sight of the fact that this is no ordinary gig for the Emcee. It is his last cabaret ever, and he knows it. He may still camp it up and flirt with his audience, but if he bears any kinship to the Emcee we know from Cabaret, shouldn’t the more caustic components of his character naturally bubble up in this dark hour? Some of the new songs by Torres capture the flavor of Kander and Ebb’s score, and occasionally they go so far as to quote a musical line from it. (And one number has a passage that sounds a great deal like a portion of “Mr. Cellophane,” from the same songwriting team’s Chicago score.) But the cynical, biting wit in such Cabaret songs as “If You Could See Her” and “Money, Money” (first heard in the film, but interpolated into later stage versions) seems to be missing here. One exception is Torres’s well-staged World War I number, which ends with the character miming the gunning down of members of the audience. The prerecorded, synthesizer-heavy soundtrack Torres sings to is an attenuating problem. The score’s jauntier moments bring to mind musical sequences from an early-1990s TV kiddy show featuring a purple dinosaur. Granted, it may be most practical for Torres to use a recorded track for the show. And, considering that the whole scenario can be seen as taking place inside the Emcee’s mind, it makes some dramaturgical sense to avoid having live musicians onstage. But better, I think, to have a pre-recorded piano-only track than the tinny, digitalized, anachronistic-sounding track currently in use. Again, as far as the performance goes, it’s a pleasure to watch Torres engage with his audience. He’s someone to keep an eye on, and I would certainly look forward to an hour of him singing, dancing, clowning, and emoting as Robbie Torres.